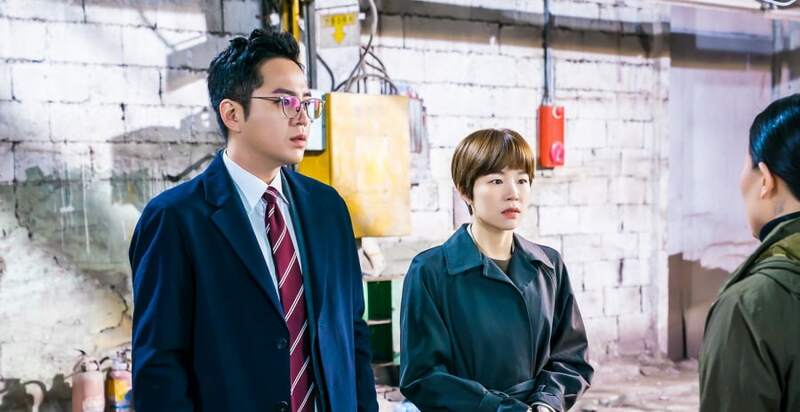 Jang Geun Suk and Han Ye Ri are officially teaming up to find a criminal. 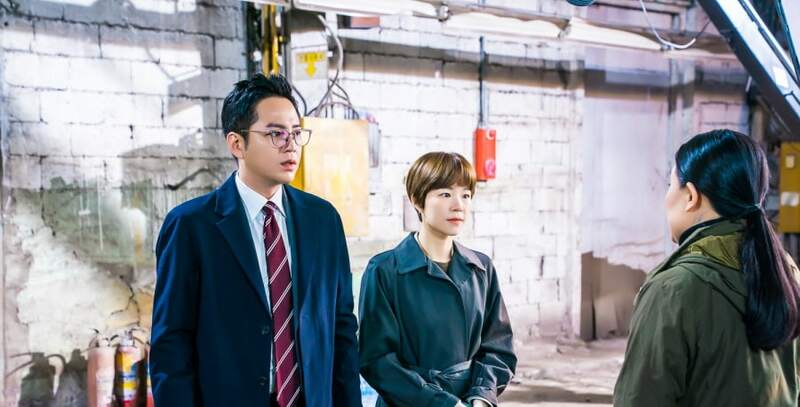 In the recent episode of SBS drama “Switch,” Sa Do Chan (played by Jang Geun Suk) attempted to deal with the crime of transporting drugs, but instead got kidnapped, falling into danger. In order to find the workers who hid the drug LSDT in the stomachs of pregnant women, Sa Do Chan had become bait. However, Secretary Kim (played by Song Won Seok), who knew Sa Do Chan as Baek Joon Soo, kidnapped him. Just as he was about to deliver a blow to the head that would have killed him, the storage room filled with thick gas and a group of unidentified men quickly put a gas mask on Sa Do Chan, saving his life. In the released photos, Sa Do Chan and Han Ye Ri’s character Oh Ha Ra return to the storage room to investigate. They are accompanied by the scientific investigation team as well as the detectives from the prosecutor’s office. The two look deadly serious as they search the storage room for clues, with Sa Do Chan wearing rubber latex gloves to not interfere with the evidence. It was revealed that for the filming, the two actors had carefully practiced their movements in the wide storage room to get the correct camera angles. Despite it being a short scene, Jang Geun Suk and Han Ye Ri were focused as they immersed themselves into their characters. “Switch” airs every Wednesday and Thursday at 10 p.m. KST.